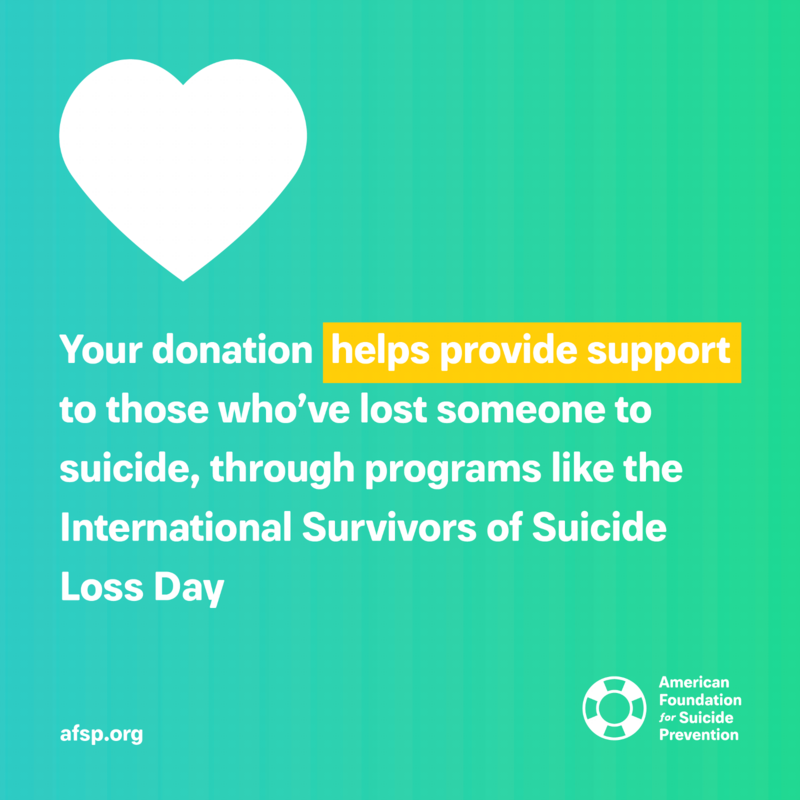 The Out of the Darkness Walks bring together hundreds of thousands of people who are bridging that gap by raising the money needed to save lives while creating a culture that's smart about mental health. 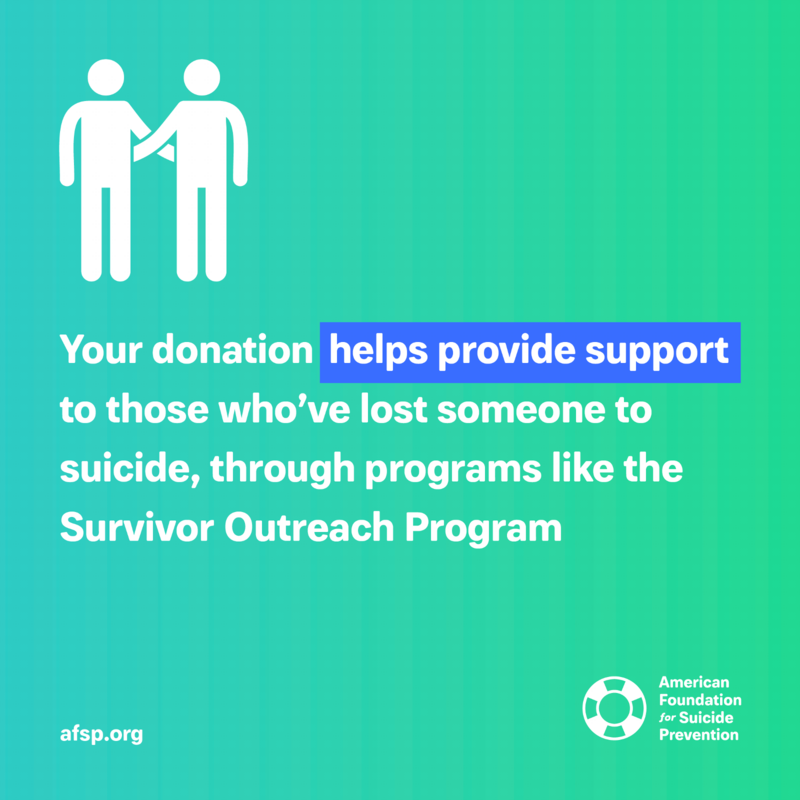 Every donation makes a difference. 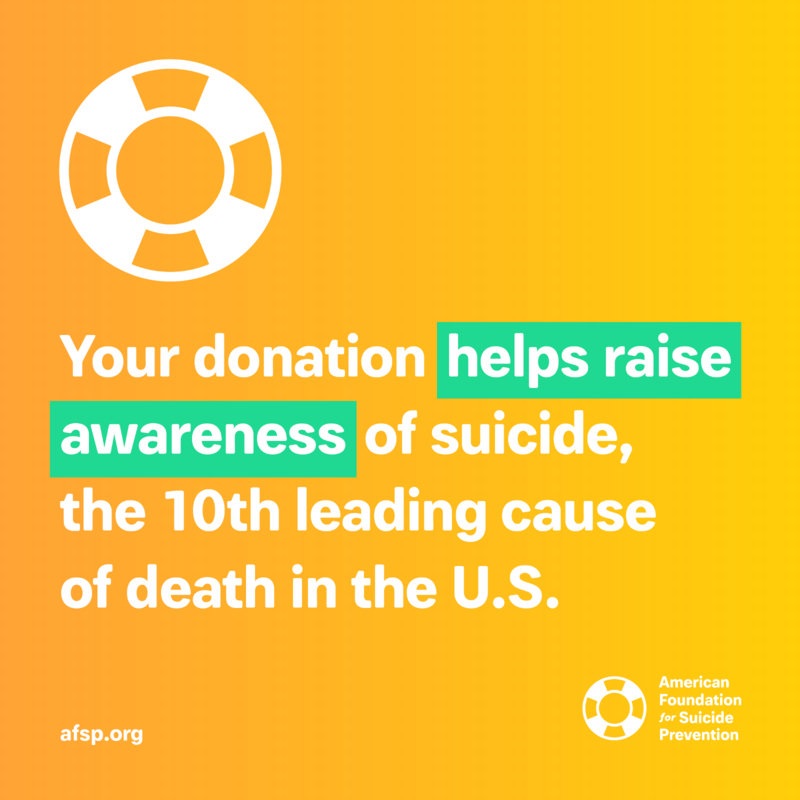 In the last 10 years, the American Foundation for Suicide Prevention (AFSP) has grown from a grassroots network of researchers and volunteers into a national movement with chapters in all 50 states. 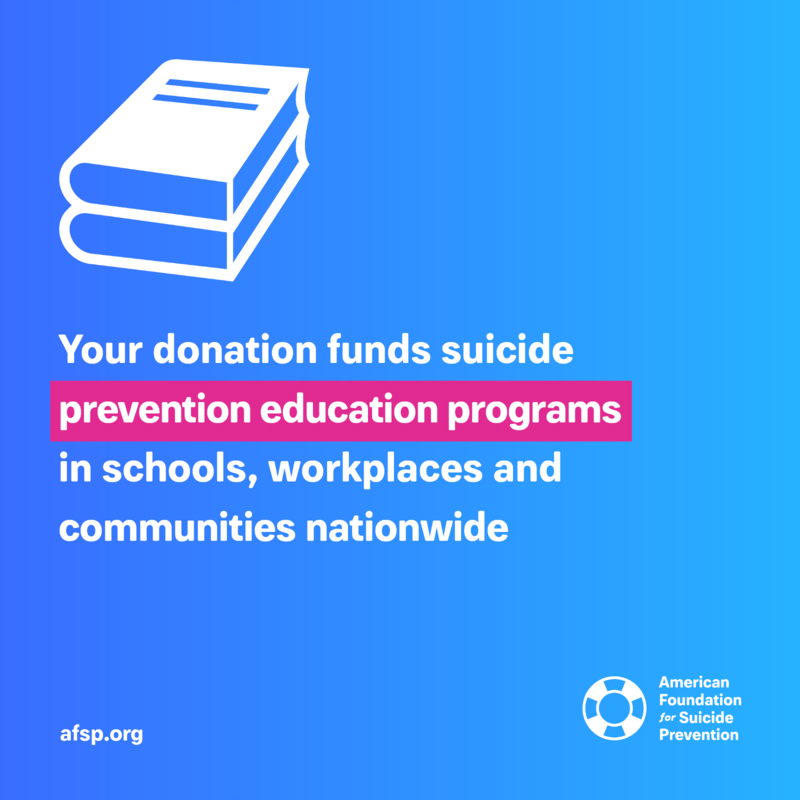 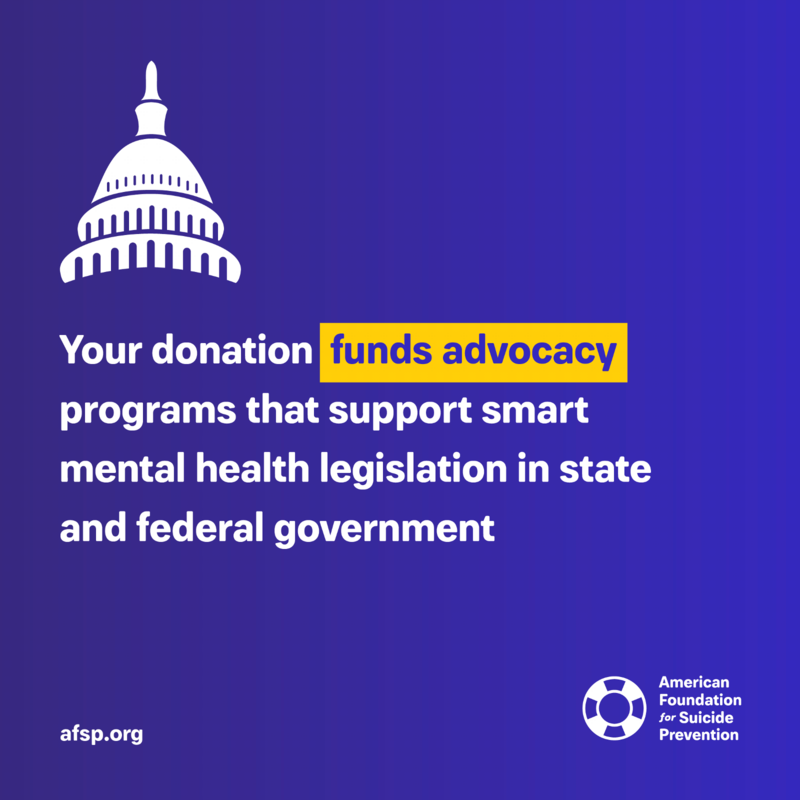 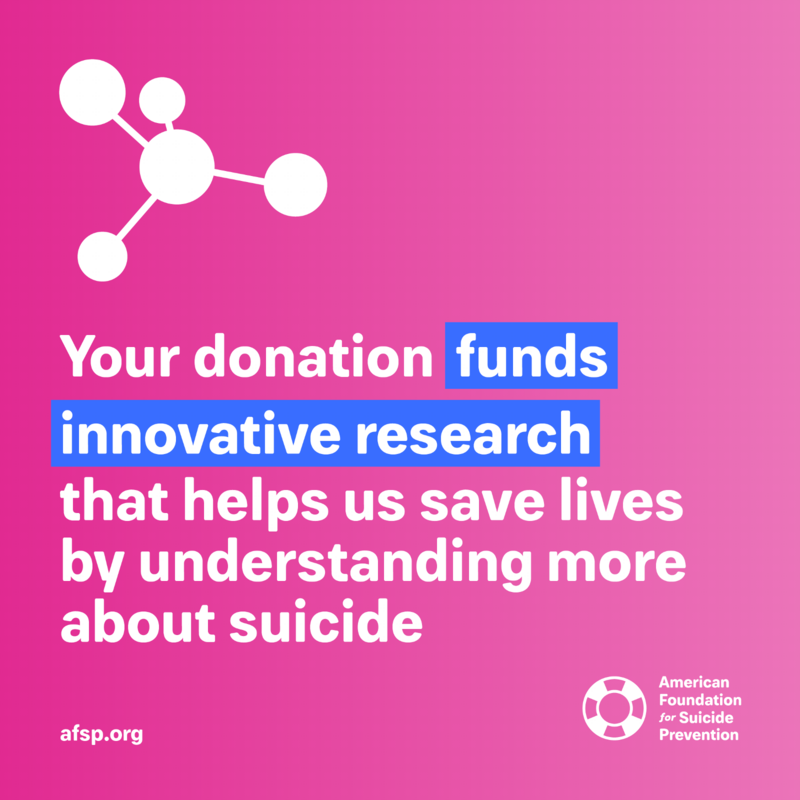 AFSP is also the largest private funder of suicide prevention research, and because we've built the infrastructure to deliver evidence-based programs to local communities across the country, our work impacts millions of people. 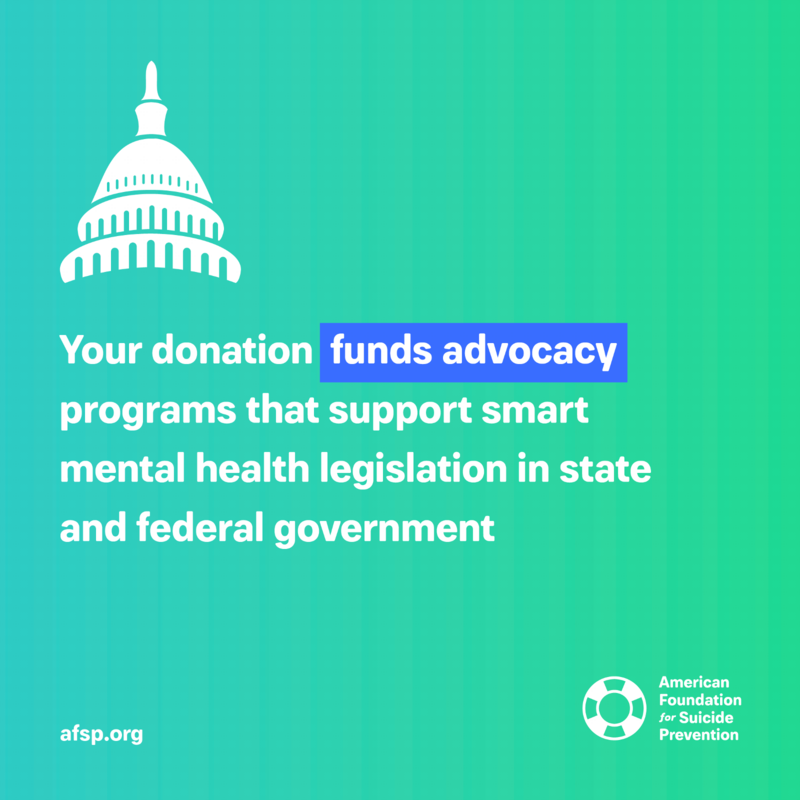 We are consistently ranked one of the best charities for mental health, and we're powered by everyday heroes like you: $5, $20, $100 - every donation helps.